BEIJING -- China has made progress in its carbon trading pilot programs but still has a long way to go, government officials and industry players believe. China, the world's biggest emitter of greenhouse gases, is betting on carbon trading as a key measure to cut its emissions for each unit of economic output 40 to 45 percent below 2005 levels by 2020. Already, five regional carbon markets have been up and running in the Guangdong province and cities of Shenzhen, Beijing, Shanghai and Tianjin since 2013. Central China's Hubei province last month also kicked in its cap-and-trade system. At a climate finance forum hosted by the International Finance Corp. last week in Beijing, Xu Huaqing, deputy director general of China's National Center for Climate Change Strategy and International Cooperation, said that carbon credits sold in the existing Chinese carbon markets already surpassed 100 million yuan ($16 million) as of early May. Carbon trading, China's version of a U.S. national cap-and-trade scheme that Congress failed to pass in 2009, is designed to evolve into a system that puts a price on greenhouse gases. It will spur clean energy investments and more energy-efficient technologies by doing so, and right now, carbon dioxide -- the main man-made greenhouse gas warming the atmosphere -- is the only type of greenhouse gas capped in the Chinese program. In addition to its seven regionwide carbon trading pilots, China plans to include more cities and provinces in the scheme by the end of the decade. "We are considering expanding the existing pilot programs into surrounding areas and link up those regional carbon markets; if that fails, the central government will then design a nationwide emissions trading scheme and allocate allowances to each region," said Xu, the government official involved in the national carbon market buildup. Up to now, the pilot emissions trading schemes have been providing an experimental test bed for Chinese companies to learn what carbon trading is and how to get involved, industry players said. Chen Haiou, president of Shenzhen's China Emissions Exchange, shared her experience. "After Shenzhen carbon market made its first deal last June, we had more than one month without any trading," Chen told attendees last week at the forum. "We were wondering where hundreds of regulated emitters went." A pedestrian wearing a face mask uses a footbridge to cross a highway in March during heavy smog in Beijing. It blanketed large parts of China's east coast and caused traffic chaos in several cities. Photo by A. Ling, courtesy of AP Images. The finding surprised her. Chen said despite years of preparations, many regulated emitters still couldn't understand carbon trading; some even hung certification of their allocated allowances on the office wall because they thought it was an honor from the local government, signed by the Shenzhen mayor. But as the carbon trading pilot continues, more companies are becoming familiar with the process, Chen said, adding that "about 70 percent of deals in Shenzhen carbon market are done by regulated emitters." This, in turn, will help boost China's renewable energy capacity and lift carbon prices in the international offset market, which is being oversupplied by carbon credits from the U.N.-run Clean Development Mechanism (CDM). China is a leading contributor under the mechanism. Zhang Xin, deputy director of the CDM Management Center at China's National Center for Climate Change Strategy and International Cooperation, said that the United Nations in principle agreed to allow China-based CDM projects to participate in the Chinese carbon markets. But both sides are still working on details to avoid problems like double counting, Zhang said. Are carbon-linked financial products 'gambling'? Another issue discussed at the market forum was when to liberalize the use of financial instruments in the Chinese carbon markets. Unlike Western nations, China has prohibited futures contracts from being used in carbon trading, worrying that speculators will create turmoil in the country's fragile financial sector. "The Chinese government has been studying whether or not to use futures contracts in carbon trading since 2009," said Huang Xiaoping, director of China Futures Margin Monitoring Center Company Ltd. in Beijing, the research arm of the China Securities Regulatory Commission. "At the beginning, some officials viewed futures contracts as gambling," Huang said. "But now they have all agreed that it is necessary to introduce futures contracts into the Chinese carbon markets, though that introduction will have to come with some conditions." However, experts say although the introduction of financial products can stir up market liquidity, rising trading volumes do not necessarily mean reducing more carbon dioxide emissions. For now, China's carbon trading is still confronting strong resistance from a group that is supposed to be the cornerstone of its carbon markets. "Persuading regulated emitters to participate in carbon trading is a big challenge," said an executive of a Chinese emissions exchange who asked to not be named. "Some emitters don't understand why they should do that. They think emissions reduction is none of their business and the government is just trying to make money." The China-style pricing mechanism then poses another problem. Jiang Kejun, a researcher from the Energy Research Institute of the National Development and Reform Commission, said that power producers in China face difficulties in passing along their emissions costs to fossil fuel consumers, due to the country's fixed electricity prices. So it is no surprise to see Chinese coal-fired power plants frustrated, and the nation is losing its opportunity to leverage adoption of clean energy technologies with higher electricity prices. Qian Guoqiang, strategy director at SinoCarbon, a Beijing consultancy, agrees that there are flaws in China's energy and emission statistics, but he insists that it is important for the nation to make the first move. "China can't wait for the perfect timing to start carbon trading; it has to move forward and fix problems along the way," Qian said. "We need to be patient. It took years for the European Union to mature its carbon trading. I believe if we give China another five years, we will see much better Chinese carbon markets." In his words, because Chinese law allows adjusting electricity prices for reasons of government taxes, imposing tariffs on power generators' fossil fuel use is an easier way to remove barriers of passing along emissions costs to energy consumers. Jiang said that Chinese companies will also likely report their emissions data accurately, because a carbon tax, considered as a production cost, can ease their financial pressure of paying value-added taxes. Besides that, China's tax authorities have tracked production costs of local companies for years, and this will give the government the upper hand in preventing any possible fraud. Jiang declined to provide a date for the introduction of the Chinese carbon tax pilots and did not specify where the pilot regions would be. But he said that it has the possibility to start "quite soon." "I think carbon trading is a good thing," Jiang said. 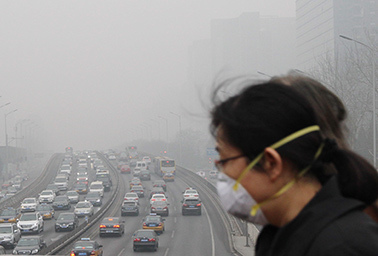 "But there are critical problems in the Chinese carbon markets. "We hope to solve those problems quickly," he continued. "But if that does not work out, we must have a plan B. Carbon tax is that plan B."